Many years back when I saw a dance program on black white doordarshan, I never thought that one day I will be using an invention which is most powerful tool for search i.e. Google. 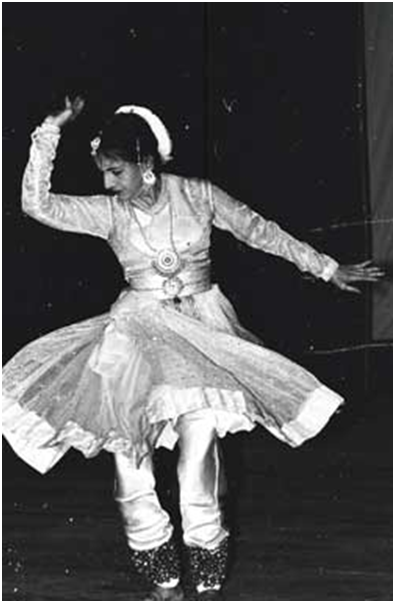 That dance program was of Smt Sunaina Hazarilal ji. The TV screen was black but I saw various colors and emotions on the screen. 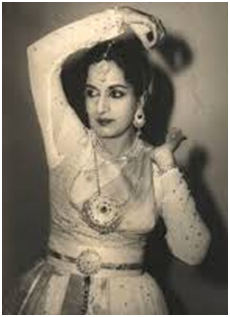 Sunaina Hazarilal ji, a dedicated dancer of old world charm. 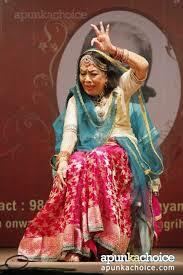 As was the Nritya Samragyi Smt Sitara Devi ji. 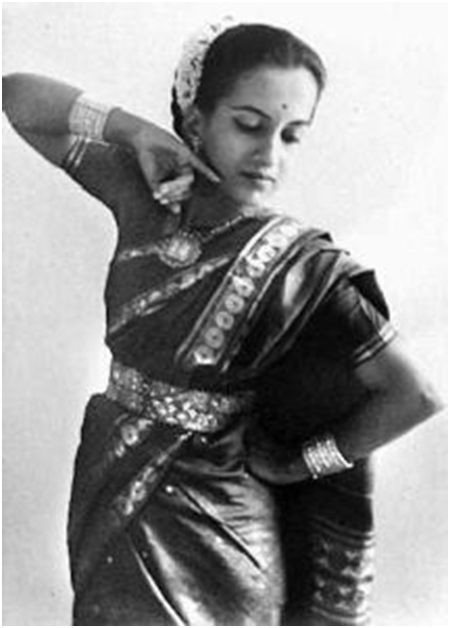 I grew up watching several program of Smt Sitara Devi ji on TV but I don’t quite understand, why I could not see much of Smt Sunaina Hazarilal. Why?? Was she not available for Doordarshan or Doordarshan never wanted to record her. I am talking of that time when I was in school 1980s. 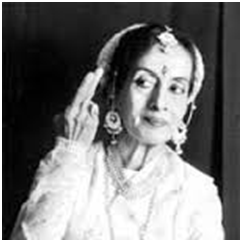 I saw a thumri where she emoted the Radha. Radha was complaining to Krishna of coming late and why he was late? Where was he during this time?, and with whom?. She cursed Krishna. 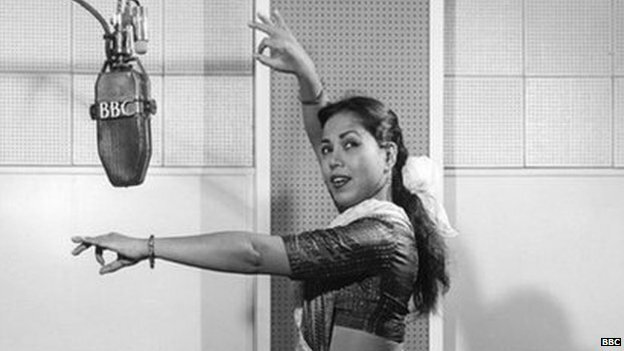 The gestures Sunaina ji used were of a style of bygone era, that had its own charm. But somehow these are not used now a days. It is not fault of today’s generation. Society has undergone several changes. The language, punctuation, Usage, the meaning and the context and also the culture has changed. Thus with this change, various gestures which were required to convey a message or the said words all has been lost now. If we see a Tamil film of 1946 or 1950s then we can see many such gestures which are not in use now in Chennai. Similary in Bengali or Hindi films.. They may look awkward. Similarly the change is observed in all part of country. The dress, fashion, way of talking and language has changed. While speaking in Tamil a young person in Chennai uses more words of English than Tamil in a sentence. Similarly people from all walks of life in city use English words. Young People e Manipur, Assam use and understand more words of English and Hindi than their elders. Since they are exposed to new Mass media, technology tools, and many of them have travelled outside their state-They got education in Delhi, and other Metro cities. Thus when I say “Old world charm”, I mean to describe that change which has caused to use that word- Old world charm!!. When I typed the word “Sunaina Hazarilal” into the google, No Wikipedia link was there?. I was totally surprised and more shocked. How is it possible that Wikipedia do not have a page on Smt Sunaina Hazarilal??? But I was wrong. 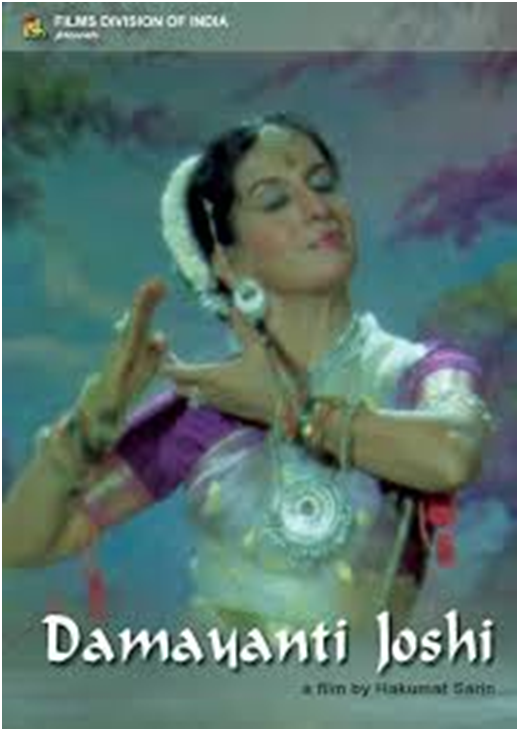 When you type the word “Sunayana” instead of Sunaina then only a link of Wikipedia comes up in the list. But the page was very short. I felt bad. In the book which I had studied while doing the Madhayama course in Kathak from Akhil Bhartiya Gandharv Mandal, Miraj, Mumbai, there were few bols. They had very different words, other than ta thai tat. we never had learnt that kind of bols in our class. It was published at Prayag- Allahabad. It had so many pictures of Nayikas. That described the various types of nayikas, Khandit nayika, Garva,,,,,Swadheen… etc . Those pictures or illustrations were very good and clear. They were like pencil sketches but beautifull. Later I found those gesture sketches in a website of a dancer based in Japan. I mean all over the world people are using those pictures. But they do not give credit to that book, or to the person who might have created those sketches. I had studied Kathak Under Guru Shri K D Srivastav, he was teaching at Mahatma Gandhi Sangeet Mahvidyalaya, Kanpur near Bada Chauraha. He always praised various artists. 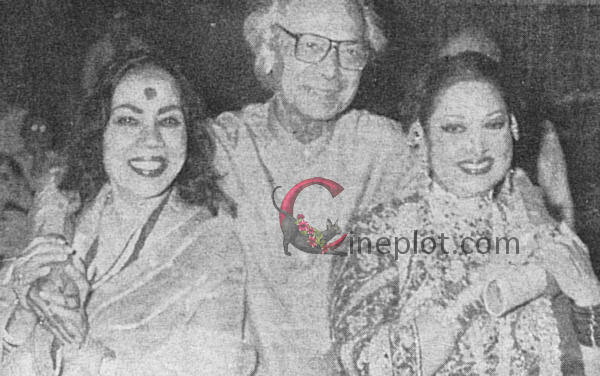 Smt Damyanti Joshi, Teerath Ram Azad, Smt Madhavi Mudgal, etc. He used to play tabla while teaching us. I used look at him with amazement. How he was able to play tabla, and speak those Kathak bols also. He was master in Vocal music also. 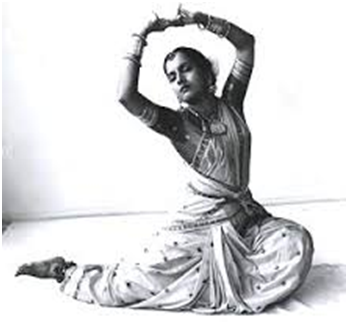 Thus the Kathak or any art was a Saadhnaa to those belonging to that “OLD world Charm”. They perfected every aspect of art. Not like us who often think in which art i am master??? and find answer as “None”. Sunaina Hazarilal is one artist who have worked with full devotion and always tried to keep that old tradition alive without compromising. 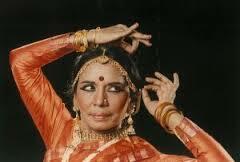 Not many left following that Banaras Gharana and more so of Janaki Prasad Style of Kathak. Their style had uniques features. Few bols were so different from what we were taught-may be due to fact that our guru was from Lucknow style. But I always called myself as student of all gharana, as my guru had talked about Smt Damyanti Joshi ji, thus i thought he might have learned from Bombay gharana, and also from Lucknow. Thus i got to know both. 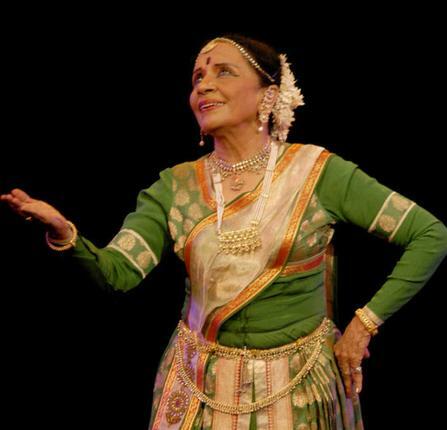 Smt Sunaina Hazarilal or Sunayana Hazarilal had always used her old style of gharana tradition, If i can say so she is a purist, which is not bad at all. She has alone worked all these years. She is truely as a flag bearer of her guru’s gharana. Banaras has been Bhoomi of Bhakti. 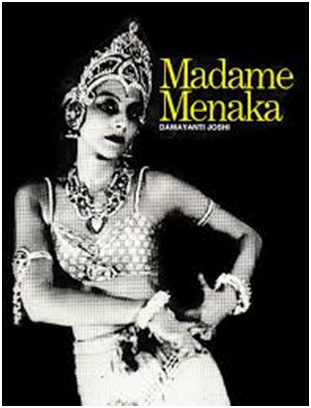 Thus her dance was full of bhakti elements also. though Banares, Varanasi is home to many. 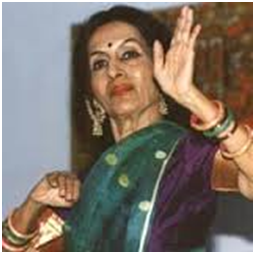 Sitara Devi ji (see this link), GopiKrishna ji (click this link), Janaki Prasad, guru Jitendra, Kamalini and Nalini sisters and many more… But each one of these have their own individual style. 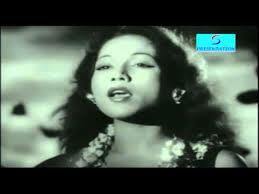 I dont know when i can again see her thumri or any of dance on Doordarshan.